Did the U.S. really “save the world” in World War II? Should black athletes stop protesting and show more gratitude for what America has done for them? Are wars fought to spread freedom and democracy? Or is this all fake news? 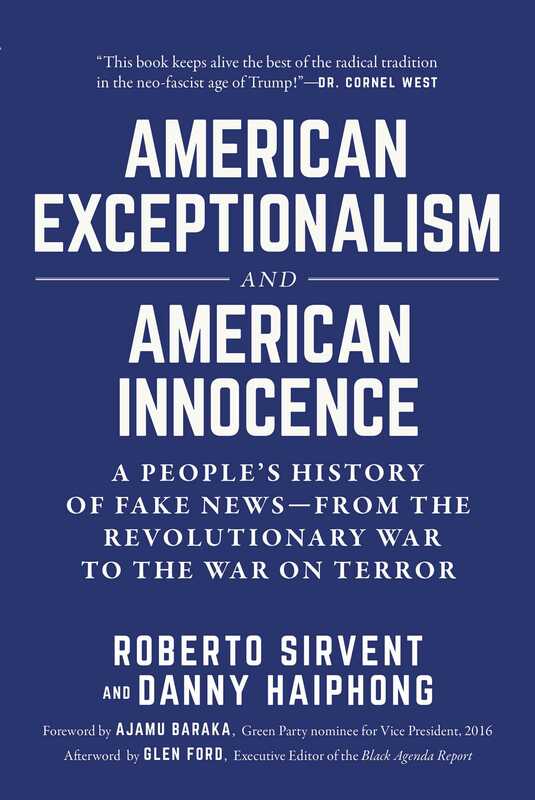 American Exceptionalism and American Innocence examines the stories we’re told that lead us to think that the U.S. is a force for good in the world, regardless of slavery, the genocide of indigenous people, and the more than a century’s worth of imperialist war that the U.S. has wrought on the planet. Sirvent and Haiphong detail just what Captain America’s shield tells us about the pretensions of U.S. foreign policy, how Angelina Jolie and Bill Gates engage in humanitarian imperialism, and why the Broadway musical Hamilton is a monument to white supremacy.